The exterior of Tepperman’s new store in Kitchener, Ontario. 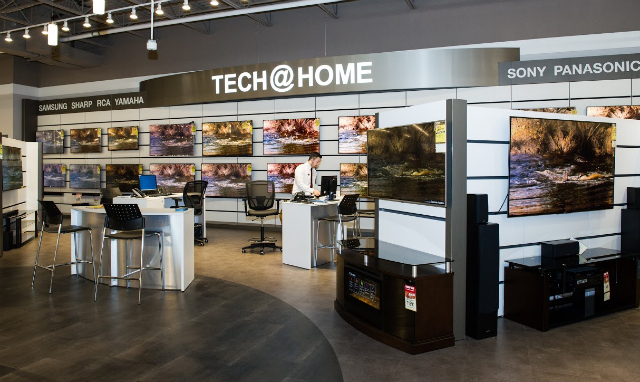 Tepperman’s revitalised its [email protected] department in the new Kitchener store. 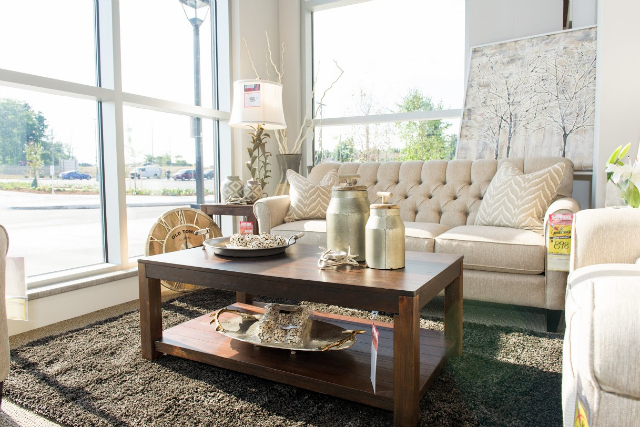 A front window living room vignette in Tepperman’s new Kitchener store’s custom upholstery department. Tepperman’s senior executive team: Gina Delicata, vice president of marketing and merchandising; Mike Horrobin, chief financial officer; Andrew Tepperman, president; Masoud Negad, chief operating officer; and, Noah Tepperman, secretary-treasurer. 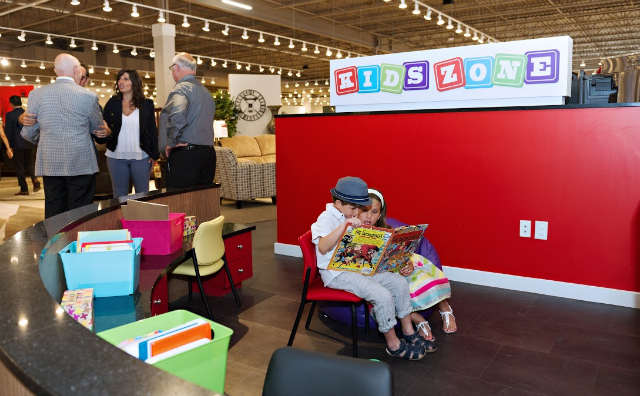 The 'kids zone' inside Tepperman's Kitchener. 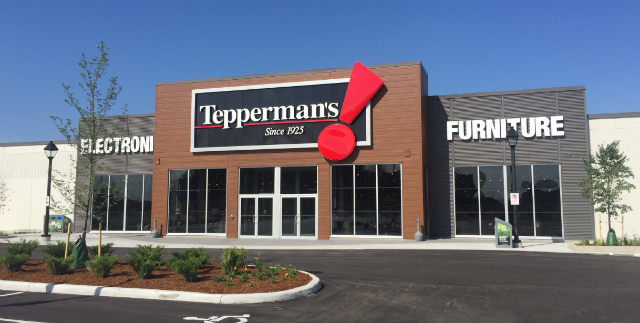 KITCHENER, Ontario – Tepperman’s, the third generation full-line furniture retailer has opened its fifth store and its first new location in eight years, in this fast-growing, high-tech centred community an hour’s drive west of Toronto. 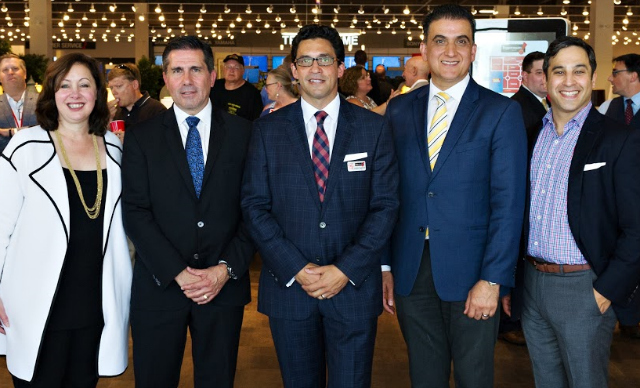 Andrew Tepperman, president of the Windsor, Ontario-based regional chain, told Home Goods Online opening in Kitchener was the next natural step after opening a new facility in London in 2008 (they entered that market in 1997). “It’s a growing community with a diverse demographic,” he noted, adding they purposely built their London distribution centre large enough to service an expansion to Kitchener, which he believes has great potential to grow Tepperman’s overall business. This was also the first time the 91-year old merchant assigned an outside design firm to develop the store’s exterior and interior – in this case, Martin Roberts Design, a leading New York commercial design firm well known for its work creating retail furniture stores in both Canada and the United States. 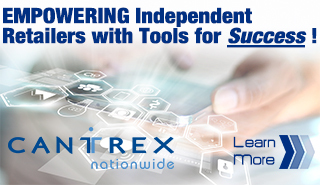 Tepperman says the final product leverages both modern features and the latest technology to elevate the buying experience for their newest customers. Andrew Tepperman, who will soon celebrate his tenth anniversary as president of the family-owned company, says Tepperman’s will continue looking for growth opportunities while admitting there are no immediate plans for store number six.